Chinese New Year is just a few days away…. It falls on January 23, 2012. Chinese New Year is the most important of the traditional Chinese Holidays. 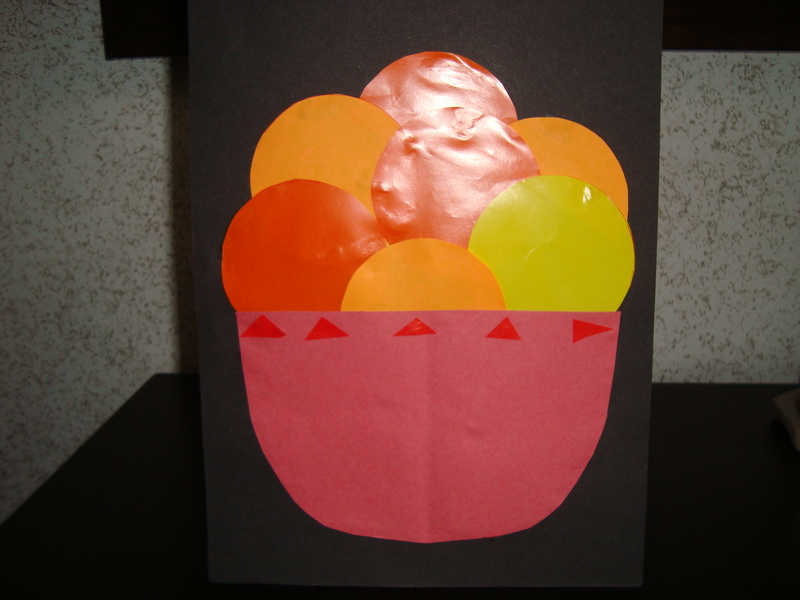 In honor of Chinese New Year today we are going to make a Bowl of Oranges Collage. Oranges are passed out freely on Chinese New Year because they represent luck and wealth. So, I thought this craft would be a perfect craft for Chinese New Year. You only need a few materials for this craft, so grab them and let’s get started. Check out our other Chinese New Year Crafts. 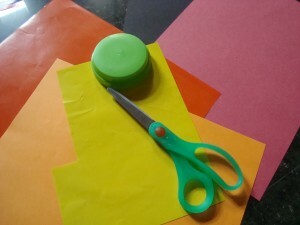 Choose a darker construction paper as your base. 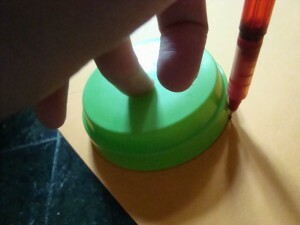 Using a toy cup, draw circles on the orange papers. 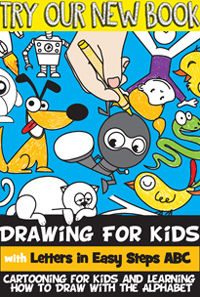 Using the scissors, cut out the circles. These will be your oranges. 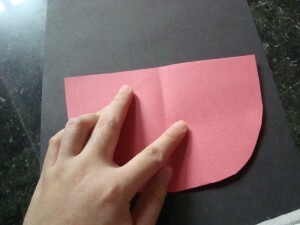 Using the other construction paper, cut a shape of a bowl. Arrange oranges on the bowl and glue. You can add any embellishments and designs to your bowl that you wish. 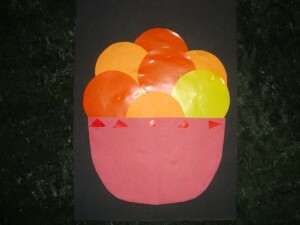 In my collage I added extra pieces of the orange papers to decorate the sides of the bowl. How are you going to decorate your bowl? Let me know in the comments below. And, feel free to take a picture of your collage as well and add that to the comments…. I’d love to see it.